The worst pain in the world is the loss of a loved one before it was their time to go. There are no words to express the shock and grief in the death of a close relative or friend that meant the world to you. When such a death is senseless, if there is a cause for such a tragedy, it much be challenged. Don’t let the unsafe practices of a company or agency cause another death for another family to have to handle. There are often many unresolved issues in the wake of an unexpected death discussed here in detail. This could include medical and funeral expenses, pain and suffering, loss of income, and others. No matter what the results, there is always need for help. This is where having a skilled attorney can be such a relief. 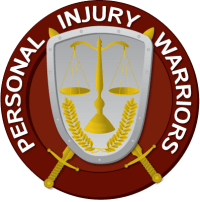 A firm such as those to be found at Personal Injury Warriors, has handled cases such as these for years and have been able to bring some closure during very difficult times. Our attorneys are able to sit down with you and your family to determine how best to assist. We can successfully use bills, documents, and court precedent to see what you will need to carry on. We can determine the amount that you’ve spent, income lost that will be needed to keep your lifestyle, and the immense pain of being left behind. We are able to determine the liability of the responsible party and what they could have done to prevented the death. We can use experts to put together a reconstruction of the act that led to the death. We can assist in the immediate aftermath of the passing. We can negotiate with your insurance company to determine the right amount your policy should cover. We can assist with funeral arrangements and costs. We are also able to help with lingering medical bills. We work on contingency– meaning that we don’t ask for any money unless we win the case for you. We have one dog in this fight– making your family whole again the best we can and making sure that such an event does not happen in the future. Let one of us work and fight for you. Personal Injury Warriors won’t let you down. For more info or to speak to one of our attorneys, please call us today.